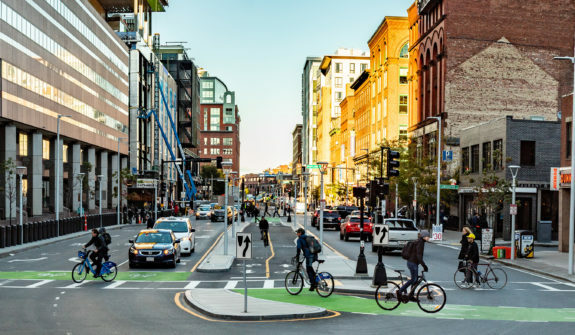 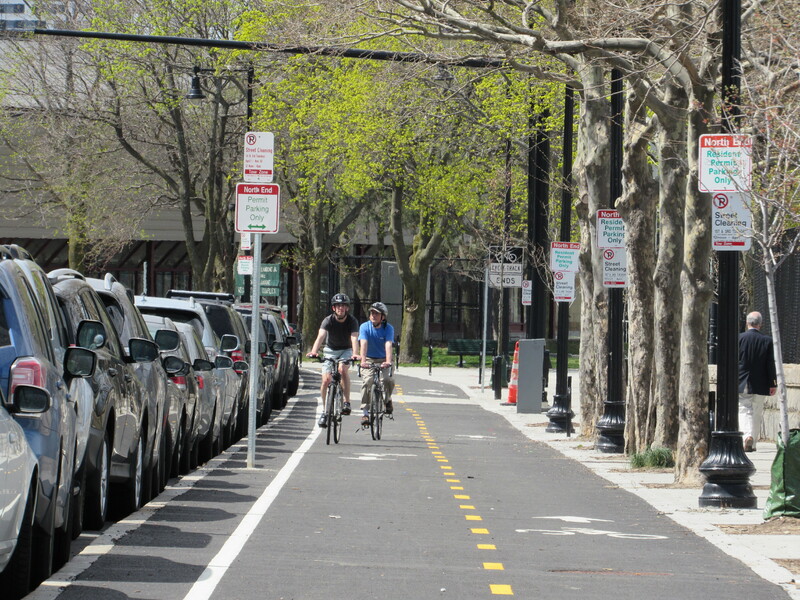 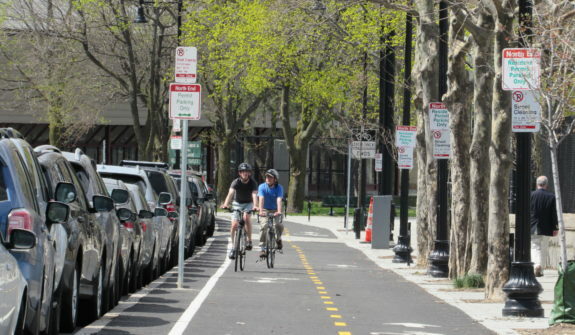 The TIGER-funded Connect Historic Boston (CHB) project is one of the most progressive, multimodal transportation projects in the country. 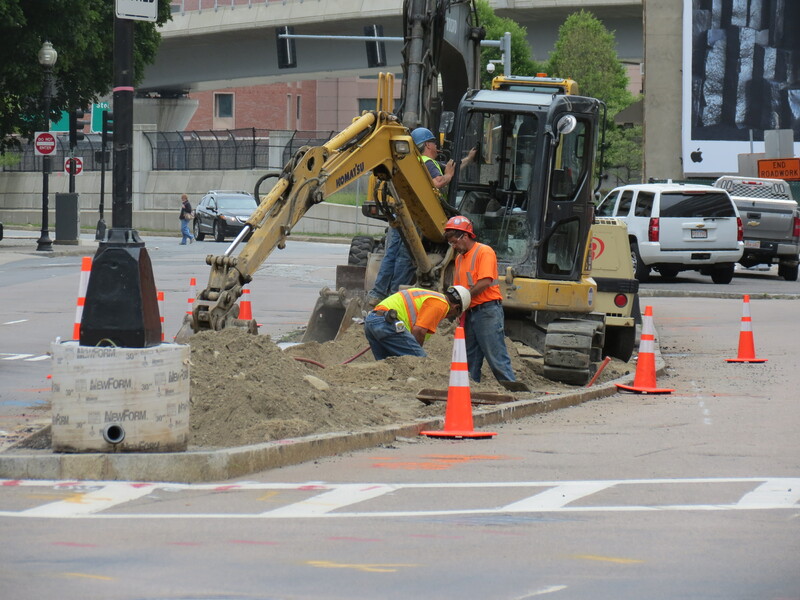 The $24 million construction project revolutionized the way Boston residents commute and tourists explore the City. 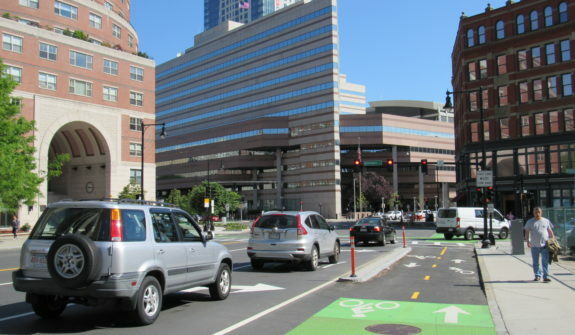 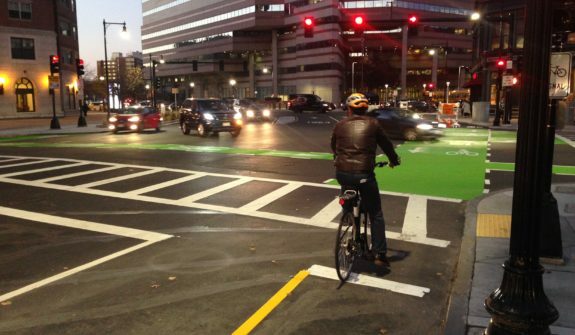 The focal point is a two-way protected cycle track that runs along the center of Causeway Street in front of the TD Garden. 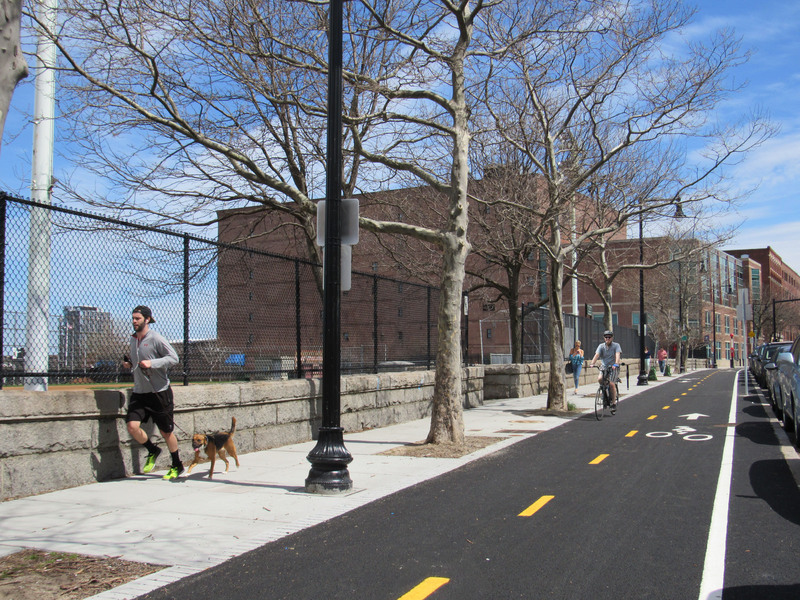 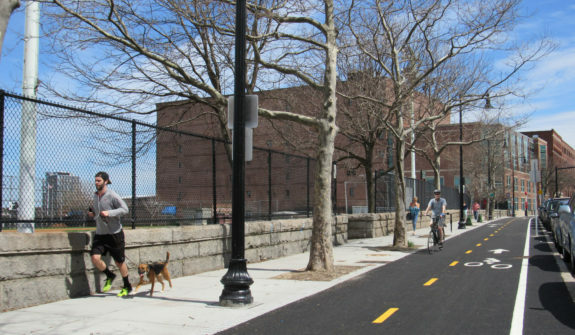 The 1.4-mile Complete Streets project extends from Atlantic Avenue along Commercial Street, Causeway Street, and Staniford Street to Cambridge Street. 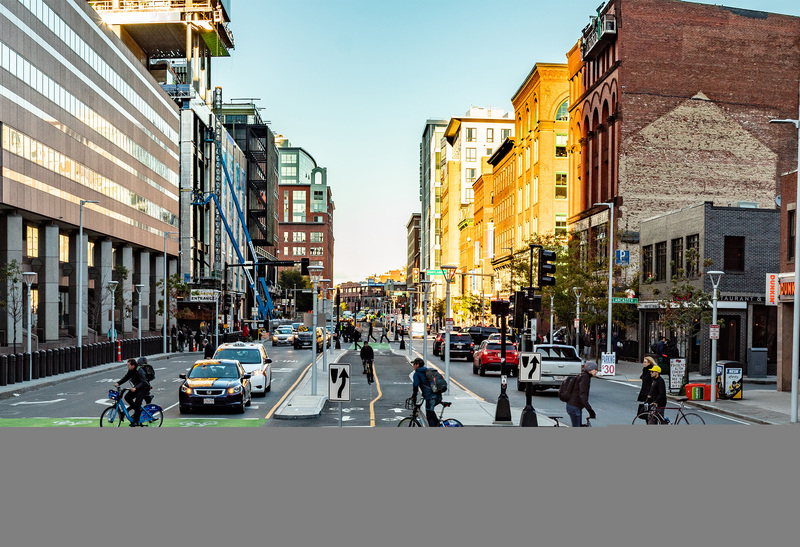 Wider sidewalks, shorter crossings, and accessibility improvements further enhance Boston’s reputation as America’s Walking City. 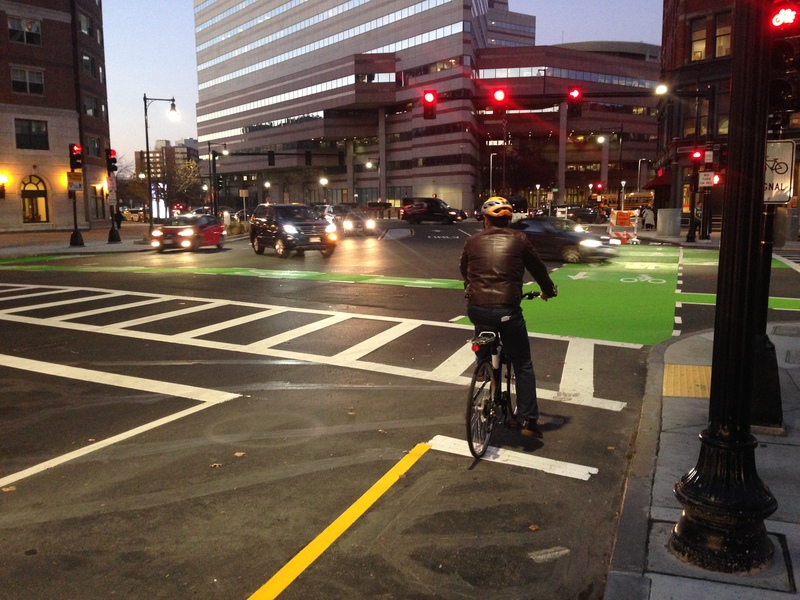 The new cycle track and state-of-the-art bicycle signals provide significant improvements for cyclists in the City. 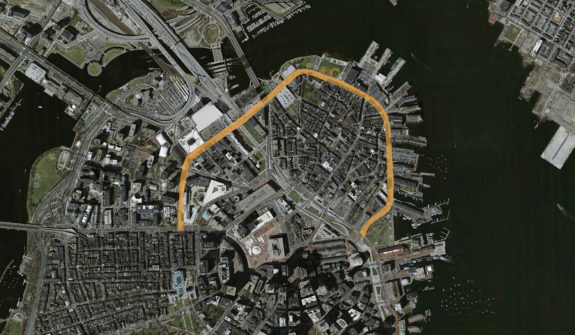 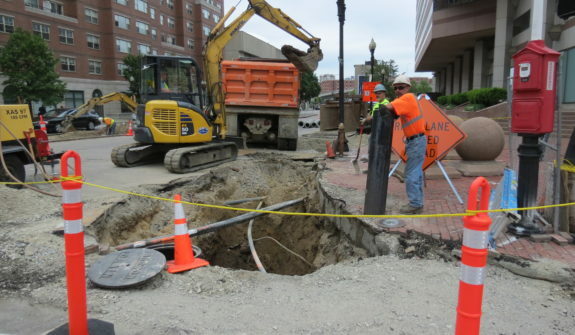 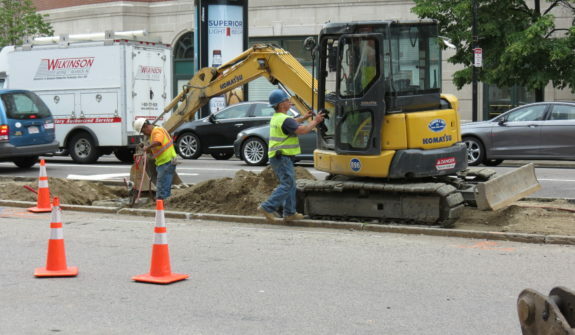 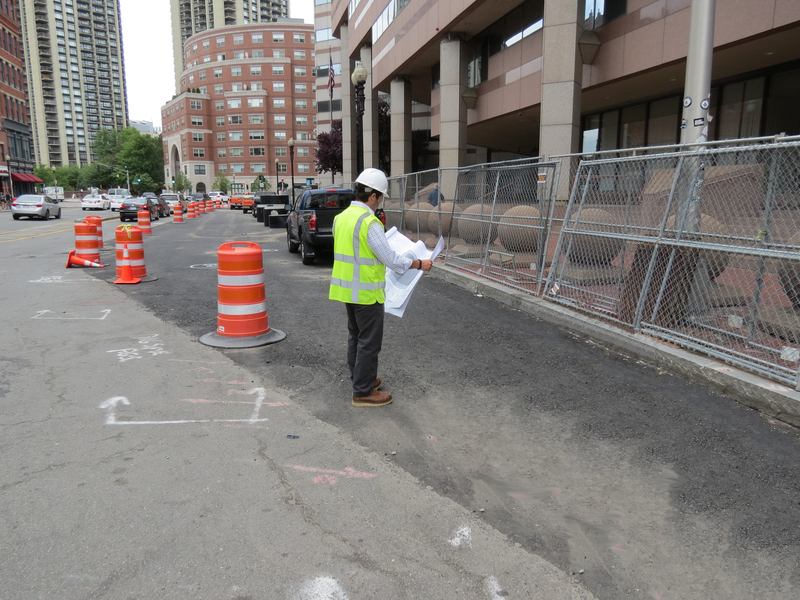 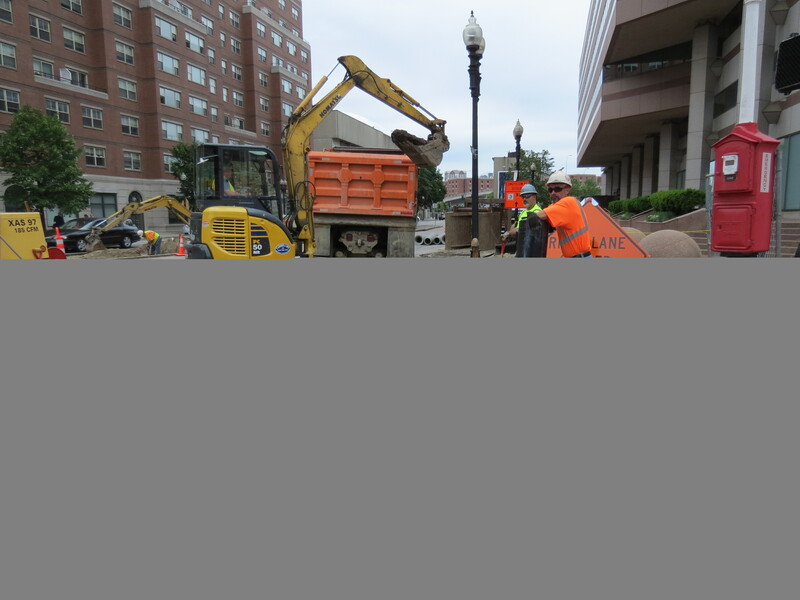 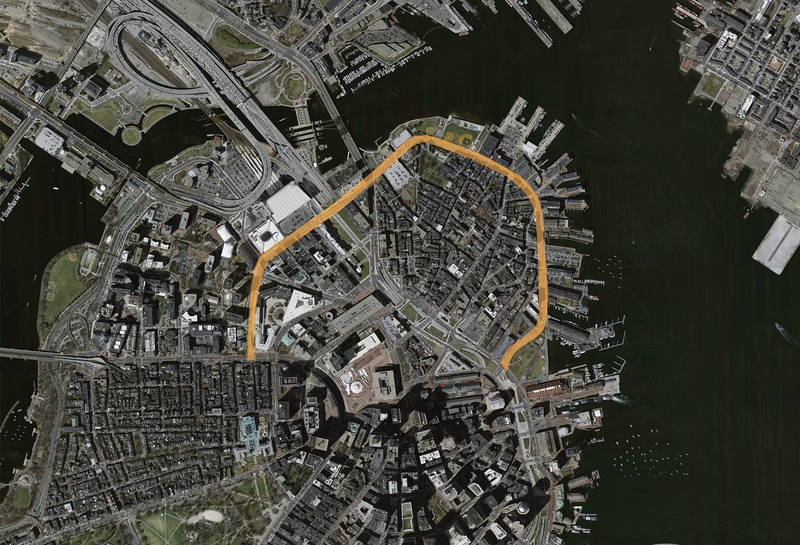 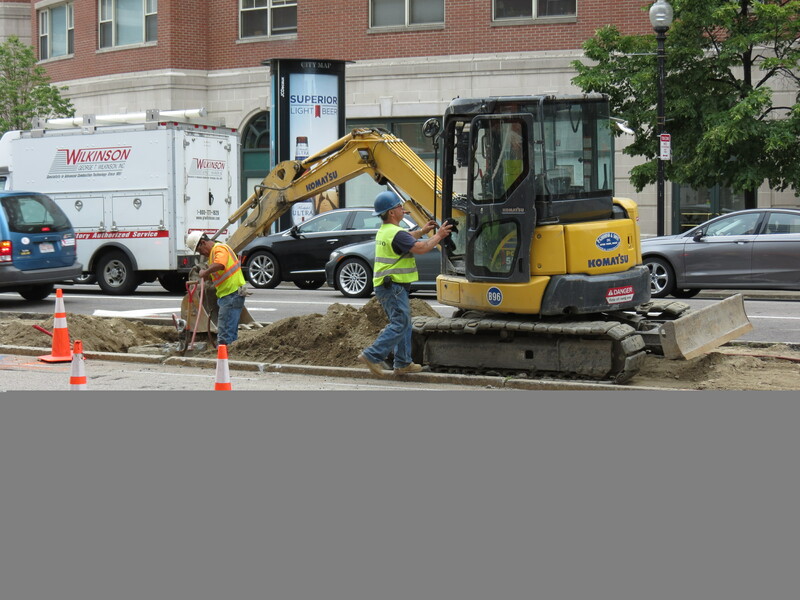 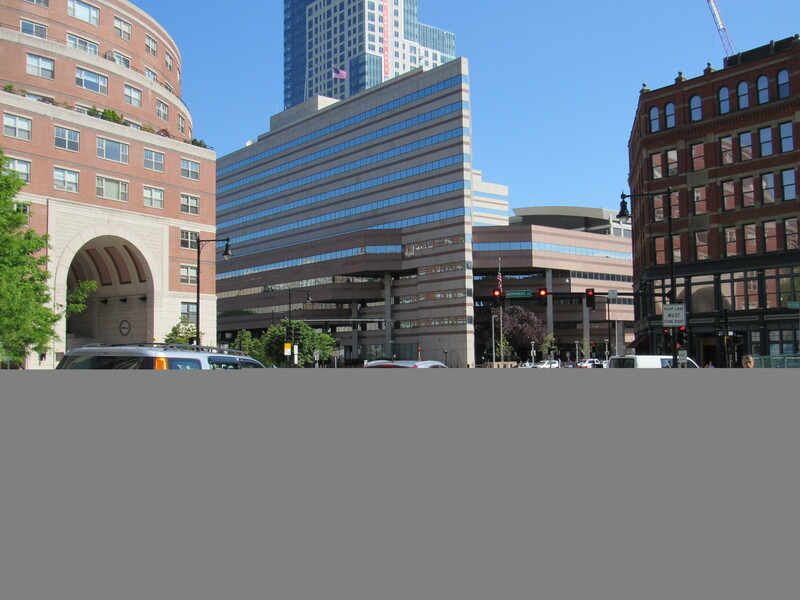 Collaborating closely with the City of Boston, Federal Highway Administration, advocacy groups, and abutters, CHB was delivered shovel-ready within the one-year schedule. 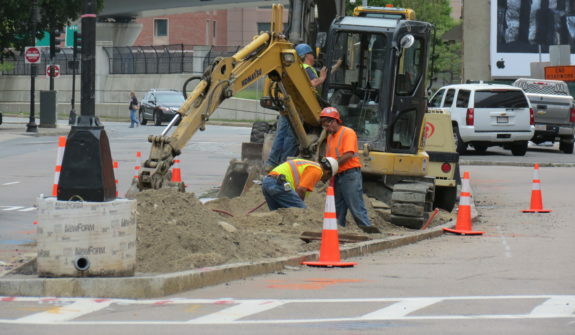 Construction was completed fall 2018.